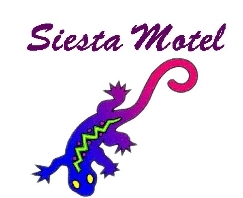 The Siesta Motel is located at MM 51 in the heart of the Florida Keys in Marathon. We have the "Cleanest Rooms in Paradise" and have been known for that for over 30 years - many of our guests are repeat business and when the locals have friends/relatives coming to town to visit we are the place they call. Repeat customers and referrals make up 80% of our business - we are full when most places are empty. Minutes from Sombrero Beach, Coco Plum beach, Curry Hammock beach/park and Bahia Honda beach, Dolphin Research Center, Crane Point Hammock, shopping, great restaurants, Key Largo and Key West - we are centrally located - especially for exploring all the Keys. Here in Marathon we have some of the top notch guides for flats fishing for Tarpon, Bonefish, Snook & Permit. World renowned legendary fly fisherman Del Brown stayed here at the Siesta Motel for over 30 years while garnering a long list of fly fishing records and perfecting his crab fly for Permit. We also have superb offshore, wreck, bridge and reef fishing for Sailfish, Wahoo, Yellowtail, Dolphin (mahi mahi), Grouper, Snapper, Lobster and many other species. We are minutes from some wonderful beaches including Bahia Honda which has been rated one of the world's top ten beaches for the past 10 years. We have some of the best reefs just minutes from our shore for diving, snorkeling and glass bottom boats for those who don't like to get their feet wet. The Florida Keys are a chain of islands that stretch from the U.S. mainland into the Straits of Florida. Connected by the bridges of the Overseas Highway, The Florida Keys feature panoramic views of not one, but two oceans ... the Gulf of Mexico & the Atlantic! Home to this continent's only living coral reef, The Florida Keys have long been known as a Mecca for fishing & diving and is recognized the world over for spectacular sunsets and the elusive Green Flash! The Florida Keys bask in the sunshine of a never-ending summer, offering some of the finest weather anywhere!